Licensing is an important part of a cloud service. 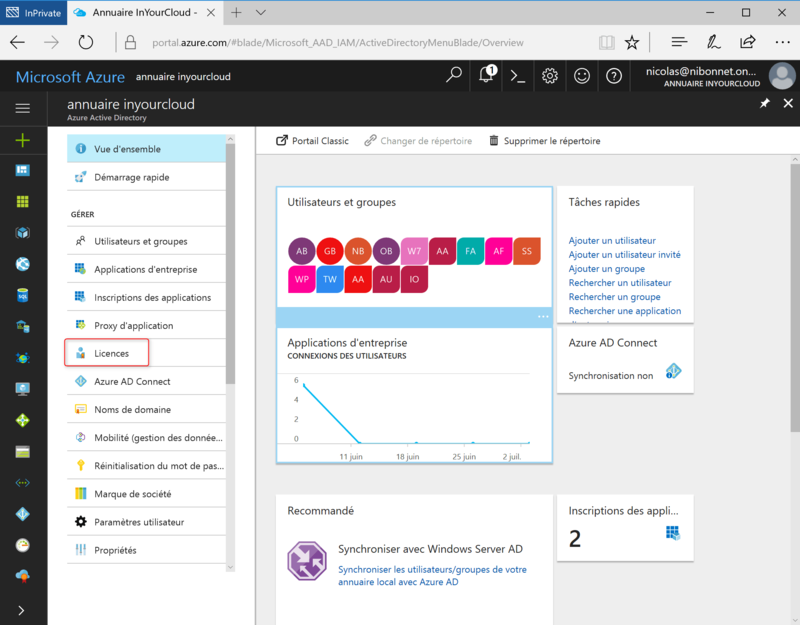 It allows a user to access and use the service concerned (Office 365, Azure AD, …). This action was operating through the Office 365 console, so Microsoft now enables licenses to be enabled from the new Azure console (Ibiza). 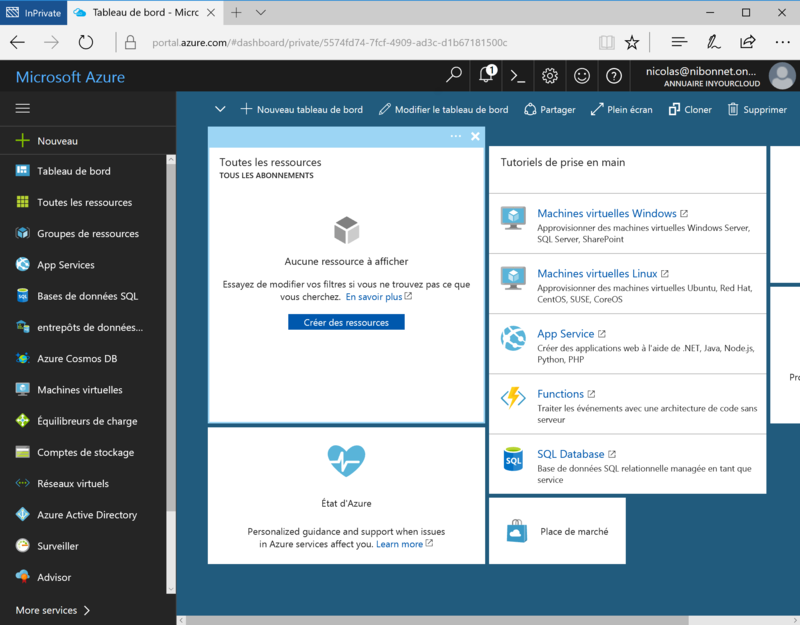 In the Azure Portal (Azure.microsoft.com), it is necessary to connect with an account with administrative rights. 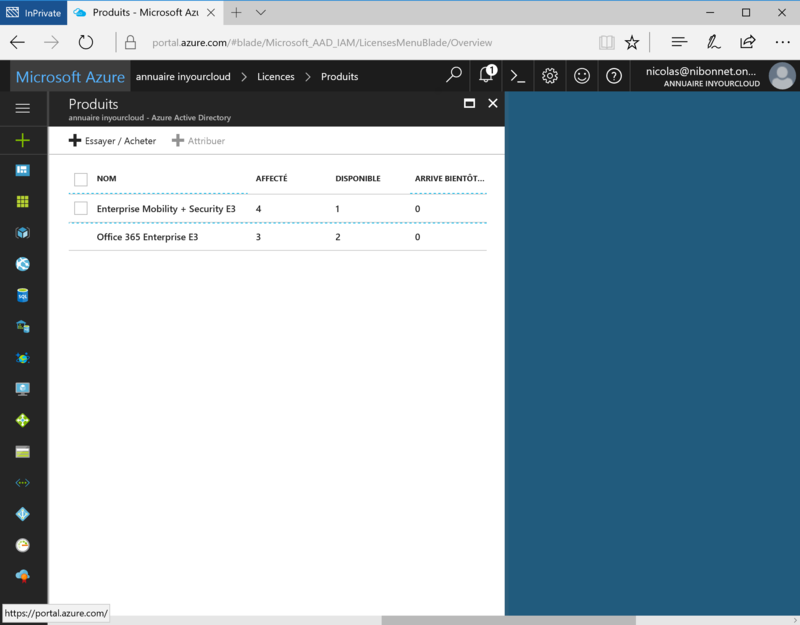 In the Azure interface, click Active Directory and then select Licenses. The various products available on the holding are present in the console. Select the product you want and then click Users or Groups. 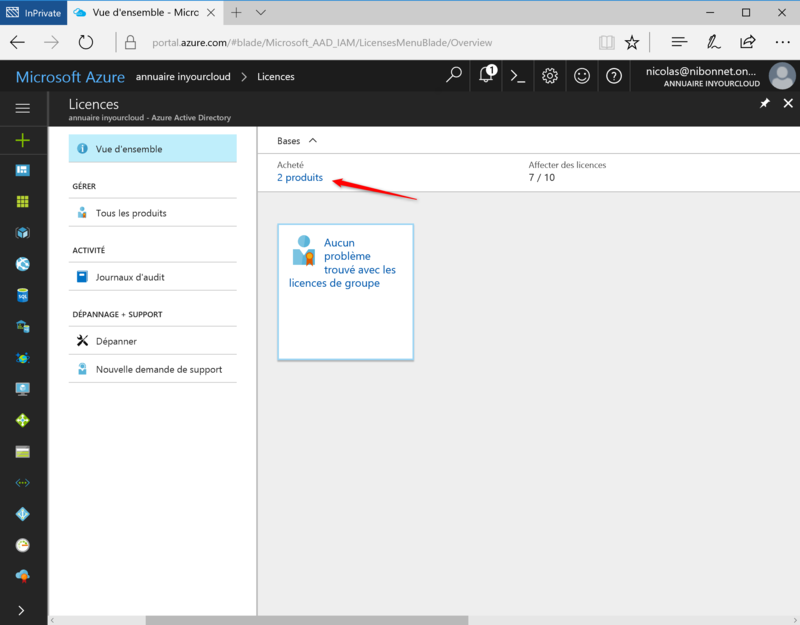 It is possible to assign licenses for a user or for a group. In the latter case, the license is assigned to all members of the group. It is also possible to assign a license to a dynamic group. 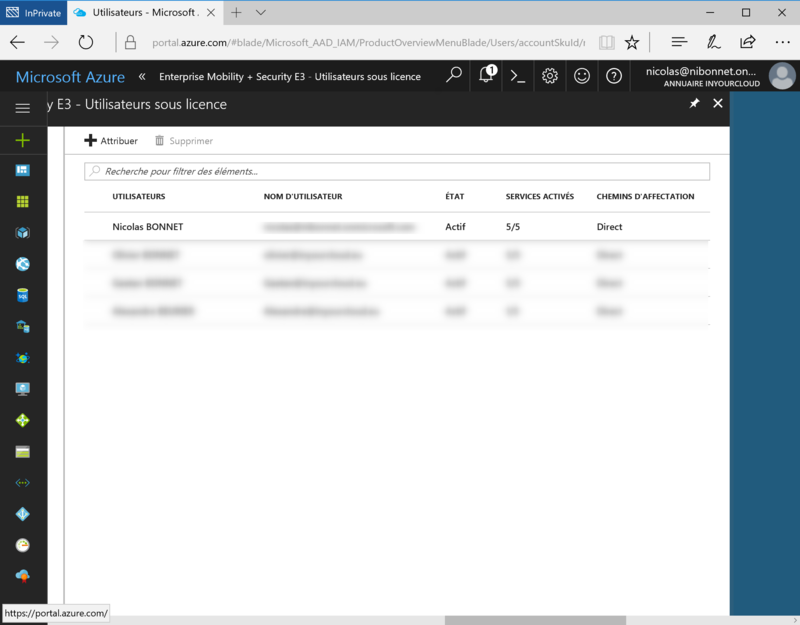 As a result of the synchronization of the Active Directory on premade, the junction is made automatically. It is now possible to assign a license by clicking the Assign button.